Sure, we have plenty planned for our Summer and being bored once in a while is ok. It’s those random days where we have nothing planned and I have to come up with something for us to do. Or I get to listen as my daughters bicker back and forth about who gets to pick what we do or how one wants to go swimming but the other one now hates swimming (which is news to me). The Summer Jar is quick and easy way to help me and the kids decide what we’re going to do each day. No bickering. No questions asked. We do what the Summer Jar says! The Summer Jar can be made from any container — you can create a Summer Box or Summer Bucket, etc. We are using an old glass vase for ours. We decorated the outside of our vase with some chalk markers but you can get creative as you like! Then, we cut up slips of paper and started writing down different activities on each slip. Activities we might want to do in this Summer. Everyday activities (we’ll save the big ones — zoos, waterparks, camping — for special outings/weekend trips). Fold up each piece of paper and drop it in your jar. Now, on the days where we have nothing to do or need a little inspiration, we can go to the Summer Jar. The kids think it’s a blast because they got to put in some of their favorites and it’s a surprise as to what will be pulled out! Some of our Summer Jar activities include flying kites, picnic at the park, head to the library, bake cookies for a neighbor, take a hike, and nap. The girls are hoping they don’t pull out that last one! What are some ways you keep your kids from getting bored during the Summer? 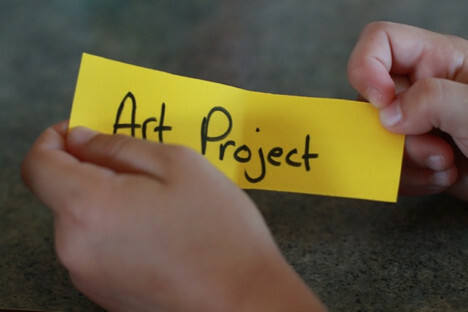 Do you create a Summer Jar or Summer List? Blogging at StaceySays.com about life as a mother to 3 young kids, Stacey dreams big through her life list and is currently shopping two of her children's books to publishers. How does she do it all? She has a secret stash of chocolate that keeps her going each day! Great idea – we have a “kids pick” dinner night but with two kids haven’t quite figured out exactly how to keep it even. 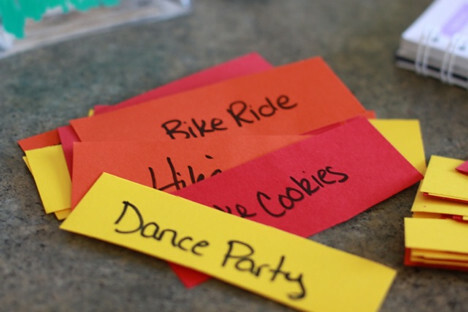 We can use this idea to have them pick their favorite dishes, write them down and each week take turns picking from the “dinner jar’. Love it! This is my original idea, have been doing it for years. I’ve written about it in my blog. Fantastic idea Stacey. 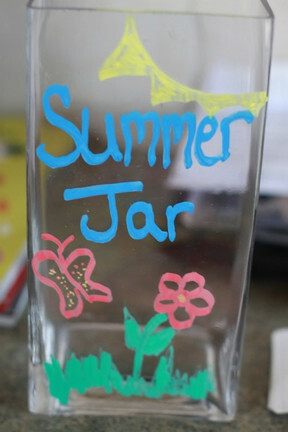 I definitely have to create a summer jar. Thanks!